Jason Ringling and 3 days on citalopram! Sometimes they just don’t get it! There was another inquest in January this year which involved citalopram, and the death of Jason Ringling, 22, who worked as a food processor at Kerry Foods, in Burton U.K. In a statement at the inquest, his doctor Simon Jones, from the Northgate Surgery in Uttoxeter, told how he had prescribed Jason the anti-depressant Citalopram three days before he hung himself. The doctor also said his patient had told him he had not had suicidal thoughts. He said: He came to me admitting he was feeling distressed following the breakdown in a relationship with his girlfriend. He was prescribed 20mg of Citalopram daily in an attempt to improve his mood. South Staffordshire Coroner Andrew Haigh, delivering a verdict of death by hanging, said he was unsure of Mr Ringling’s precise intentions, indicating his actions may have been a desperate cry for help. Was Jason informed of the possible suicidal side-effects and warnings associated with citalopram? Did he or his family know of the risks or possible consequences with starting any ssri medication? Considering psychiatrists, doctors and the drug companies are not being challenged of their denials of these side-effects, I seriously doubt it! Was he given any of the information below?? A small number of children, teenagers, and young adults (up to 24 years of age) who took antidepressants (‘mood elevators’) such as citalopram during clinical studies became suicidal (thinking about harming or killing oneself or planning or trying to do so). Children, teenagers, and young adults who take antidepressants to treat depression or other mental illnesses may be more likely to become suicidal than children, teenagers, and young adults who do not take antidepressants to treat these conditions. However, experts are not sure about how great this risk is and how much it should be considered in deciding whether a child or teenager should take an antidepressant. 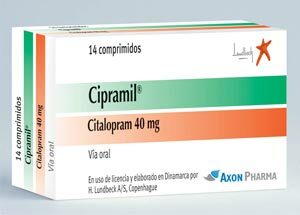 Children younger than 18 years of age should not normally take citalopram, but in some cases, a doctor may decide that citalopram is the best medication to treat a child’s condition. You should know that your mental health may change in unexpected ways when you take citalopram or other antidepressants even if you are an adult over 24 years of age. You may become suicidal, especially at the beginning of your treatment and any time that your dose is increased or decreased. You, your family, or your caregiver should call your doctor right away if you experience any of the following symptoms: new or worsening depression; thinking about harming or killing yourself, or planning or trying to do so; extreme worry; agitation; panic attacks; difficulty falling asleep or staying asleep; aggressive behavior; irritability; acting without thinking; severe restlessness; and frenzied abnormal excitement. Be sure that your family or caregiver knows which symptoms may be serious so they can call the doctor if you are unable to seek treatment on your own. Your healthcare provider will want to see you often while you are taking citalopram, especially at the beginning of your treatment. Be sure to keep all appointments for office visits with your doctor. The doctor or pharmacist will give you the manufacturer’s patient information sheet (Medication Guide) when you begin treatment with citalopram. Read the information carefully and ask your doctor or pharmacist if you have any questions. You also can obtain the Medication Guide from the FDA website: http://www.fda.gov/Drugs/DrugSafety/InformationbyDrugClass/UCM096273.